The day used to start with a 5:30 am alarm clock buzzing me into consciousness. I would groggily drag myself out of bed, into my sweatpants, and then jump into the car for a 20-minute drive to the gym. When the doors opened at 6, I would be one of the first inside. By the time my workout was finished and I got showered and dressed, there was barely time to rush to work. I tried going in the evenings after work, but the gym would be so full of people that I would have to wait in line for each exercise machine or bench. Then I got smart. By getting my own home exercise equipment, I could save a ton of money on membership fees, forget about the crowds, and get a better workout in less time. As an added bonus, I skip the drive and get an extra half-hour of sleep every morning! When you start looking for the best home exercise equipment, you quickly get buried in an avalanche of options. Figuring out which is the best home gym set for you isn’t easy. But have no fear! Stuffoholics has done the heavy lifting for you (pun intended). We have sorted through the maze of options and have our top 10 Best Home Gym Reviews just for you! We are on the internet here, and I know that one of your biggest concerns about reading product reviews online is whether you can consider them trustworthy. You don’t know if the person writing the review is qualified to make valid recommendations. There are even a lot of reviewers out there that are paid to say good things about a given product. In fact, there are a lot of bought-and-sold reviews. So, you have good reason to be skeptical. Even among the valid best home gym reviews, it’s often hard to understand why one product was picked over another. The process by which they compile their reviews is opaque and you simply have no way to understand what criteria they use to arrive at their decisions. Stuffoholics is different. For 5 years, my team and I have been doing extensive research on products. We have applied that background of unbiased research to develop our list of the best home workout equipment. This list was formulated after spending about 70 hours of internet research examining what the consumers of these products were saying, and another week using different testing tools and methods through community-based usage. Yes, you read that correctly! We researched online best home gym reviews for over 70 hours, and then we put the best home exercise equipment to real-world physical testing. In all, we researched more than forty exercise machines for home use. From that list, we narrowed it down to 21 home gym setups across different brands and a wide range of prices. Then we got very picky and chiseled the list down to our top 10 best home gym reviews. You will notice that our list of the best home gym equipment contains a wide range of brands, styles, and prices. We aren’t here to promote a specific product or brand. We have no affiliation with any of them, nor do they pay us. Our allegiance is to you, the consumer. Our sole goal is to arm you with the information you need to find the gym set that is right for your needs. Our testing examined each machine from many aspects. We studied the build quality, the size and weight of the kit. Then we looked at its exercise versatility, the type of resistance it offered, and also factored in any additional accessories that might be included in the total package. As a result of all of this probing of the reports from real consumers and our own hands-on home gym workouts, we have developed this list of our Top 10 Best home gym reviews. The answer to this question will point you towards the type of equipment you should be interested in purchasing. If you are looking to increase muscle mass, there is no question that having complete access to a home multi gym anytime you want can be a huge boost towards your goals. Building muscle requires a substantial rack of weights that can be utilized in many different ways. But it won’t be cheap. If you are interested less in muscle building and a more whole-body toning type of exercise, you can get buy with a more compact home gym. There are some fairly simple bench systems that allow you to generate a workout like this without a huge cash layout. Weight loss is actually the most common reason people buy a home gym machine. The type of home gym machine that meets this need isn’t much different than for general toning. In fact, Stuffoholics recommends that you actually look past the goal of weight loss because once you lose the weight, you’re going to want to keep it off. The best way to do that is to continue an exercise regimen for whole-body toning. Ah, here’s the rub! A huge home gym setup in the living room isn’t exactly a great décor idea. A multi-gym takes a lot of space and demands a type of flooring that won’t be easily damaged by falling weights. These gyms usually end up in the basement or taking up an entire bay in the garage. Whole rooms are usually committed to gear like this. If your life is based in an apartment, you’re probably going to be looking for a small home gym that can be stowed in a closet or second bedroom when not in use. Should you have home fitness equipment if you have heart issues? There’s only one correct answer to that; Ask your doctor! But for many cardio patients, some type of home fitness equipment is actually part of the prescription. It’s not usually a huge gym set. But buy (and use!) the kind of gear your doctor suggests and it will likely help get your cardio issues under control. With home workout equipment, you get what you pay for. You can buy a cheap home gym, and it may serve your needs just fine. But if you’re aiming to become the next Mr. Olympia, you will lay out some serious money for the best home workout equipment. Our top 10 best home gym reviews include gear that ranges in price from a little over a hundred bucks all the way up to $1200! But, think about how much you are spending on a gym membership right now, and these machines start to look like a good buy. Time is money, and that’s one of the main reasons I bought home workout equipment. I can accomplish my complete workout in the time it used to take me just to travel to and from my gym. A lot of professionals these days work well beyond the traditional 40-hour work week and getting to the gym on a regular basis is an expenditure of time that they just can’t make. It’s not unusual to see a small home gym set tucked in the corner of an office. If you found yourself nodding in agreement with any of the above points – and you almost certainly have – then the answer is clear. Yes, a home gym setup is right for you. The trick is in figuring out which one is right for you. Stay with us, and we’ll get that figured out, too. My, how exercise equipment has changed! It used to be that a home kit was made up of an old weight-lifting bench (usually with duct tape covering the inevitable rips and cracks in the plastic-covered padding), a barbell, and an assortment of rusty weight plates. Today’s best home gym equipment has gone high-tech, with resistance bands, flywheels, and power rods. These designs weigh a lot less and are smaller and easier to move around. Best of all, the newest systems accomplish the same fitness goals with a lot less wear and tear on the human body. Lower impact training also means that it doesn’t take your body as long to recover, so you can meet your goals more quickly. They are also safer to work with, meaning you don’t need another person to “spot” for you when you get into a set of heavy power lifts. Cross-training has become very popular and has also been incorporated into some of the top home gym ideas, making them suitable for cardio workouts in addition to traditional weight-lifting. Coupled with wearable accessories like smartwatches and fitness trackers, home gym workouts can be as productive and guided as if you had a personal trainer standing right there with you. The traditional home multi gym actually hasn’t changed much. Many are based on a stack of weights that are lifted by way of a series of cables and pulleys on several types of benches or bars to allow for full-body workouts. This is still a great type of home gym workout, but the machines do have a couple of issues you need to consider before you lay out the cash. First, they are not cheap. Second, they usually require the commitment of a large footprint. They are very heavy and wherever you set it up is where it’s going to stay. 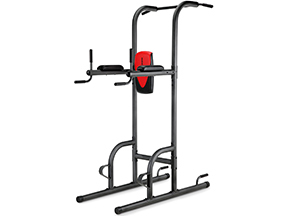 Band resistance machines eliminate the weight issue, and many come in a smaller size as well. They even look cool and are often the choice for smaller dwellings or in an office. They provide that low-impact workout that can often be superior to using heavy weights. Even the lowly dumbbell has gone high-tech. There are systems now that store all of the weight discs in a single housing. You insert the dumbbell handle into the housing, twist a dial on end, and the correct discs for the weight you have dialed in are automatically locked onto the dumbbell. Maybe we should start calling them smartbells! Like I said, having my own equipment means I get to sleep an extra half hour in the mornings because I don’t have to travel to the gym and back. That extra sleep also means that I have more energy for my workout as well. I never have to wait for someone else to finish up on a machine, which means I can do a wider variety of exercises in a shorter amount of time. It also saves me hundreds of dollars on gym fees every year. Aside from all of the convenience, my home gym is a bargain. Two kinds of freedom come into play for me. First, I don’t have to worry about looking good when I work out. It’s 6 o’clock in the morning and I’m in my own home. If I want to work out in a ripped T-shirt with some paint spilled on it from repainting the porch, who cares? 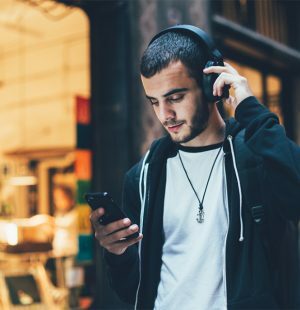 The other freedom I enjoy is that I get to listen to whatever music I want to. I don’t have to settle for what the morning desk person at the gym likes to listen to over the speaker system. I can choose the music that best accompanies the kind of workout I’m doing, and I get a better result because of that. We’re talking about a home gym workout here, not static running on a treadmill or on an elliptical machine. 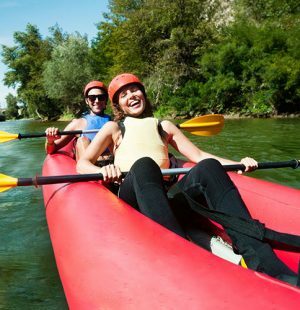 You might think that’s a great way to burn calories, and it is. But you aren’t building any muscle on a treadmill. The simple fact is that muscle is a calorie-burning engine. The more muscle you build on your frame, the less you have to think about calories. Because many of the best exercise machines for home use employ a different form of resistance other than traditional weights, they create a lower negative impact on your body. You can work out harder, gain more strength, and recover quicker. For many users, it’s just a better way to go. I think we’ve made a pretty good case for why you should seriously consider investing in the best home exercise equipment that will fit your needs. There are many different styles and designs and the trick is deciding which piece of fitness gear will match your needs. Who are Home Gyms For? I’ve already covered the notion that if you have a busy lifestyle (and who doesn’t?) having your own home gym is one of the best time-saving ideas there is. It also saves that gym membership cost. But there are other reasons, too. You can actually customize your equipment to fit your body and maximize your results. 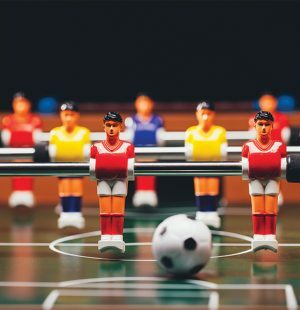 This will help you achieve your goals more quickly. Women who are new mothers are sometimes self-conscious about their bodies until they can get back in shape. People fighting obesity may share those same feelings. For them, body shaping in the privacy of their own home is more comfortable. Elderly people and social introverts also often shy away from the public gym scene, but they need just as much exercise as anyone. Kids and sports enthusiasts, as well as those with physically stressful jobs, like firemen and police officers can also benefit greatly from having fitness gear at the ready. We have spent more than five years researching and testing all kinds of products for you, and now we have turned our attention to home gyms. We started by looking at about 40 systems and through our research narrowed it down to 21 home gym sets comprised of different brands, price ranges, and styles. For two months we submitted these finalists to community-based usage for a real-world study of how they would perform. From the reports of our users, we developed our top 10 best home gym reviews. We analyzed everything about these units from their exercise versatility to accessories, construction quality, assembly requirements, size and cost. Each of these factors makes a difference in the overall performance, durability, and even usability of the machine. If, for example, a system has many accessory items included, that may make its versatility very good. But if those accessories are difficult to use and require a lot of assembly effort in the middle of your workout, you are likely to skip using them. It’s our deep analysis of factors like this that makes our market research unlike any other reports out there. Stuffoholics is proud to have created such in-depth testing results, which we are sharing with you here. Study our research carefully and you will find all of the help you need to find the best home gym for sale that meets your specific needs. We have analyzed what we consider to be 44 of the most important features available on a home gym. We studied them, tested them, and then constructed a fact-filled research document in which we recorded our results about each of these 44 factors for every single home gym we tested. This is a key step in how we determined our top 10 list. The truly great thing about our research is that we don’t hide it. We make it available to you. Just go to the link below and it will take you to our raw data report that you can analyze for yourself. You may actually find something you like in one of the other systems we tested. That’s great! We want you to use our research to find the perfect home gym for sale that matches your needs. So, check out our attached research report and see for yourself! Get that toned body for under $200! The Weider Ultimate Mod Works home gym is solidly constructed with the most efficient resistance bands, helping you gain muscle and tone your body simply yet effectively. Before I get to the specifics, let me explain how we arrived at labeling this compact home gym as our Top Pick. This machine has an amazing 28 of our 44 positive features, the highest number on our list. On this adjustable incline bench, you will find a cable with a pulley on each side of the bench. This allows for greater range of motion and more versatility of exercise. Four bands can be employed for an extra 50 pounds of resistance. The Weider system comes with a manual that includes over a hundred body-shaping exercises, so you can begin using it like a pro right away. It also comes with a 90-day Parts & Labor warranty. At about $200, it is not only a great workout system, but also one of the cheapest on our Top 10 list. Now that’s what I call a great feature! As part of our research, we study the rating frequency that each product gets on Amazon. A fast rate of positive ratings tells us two things. 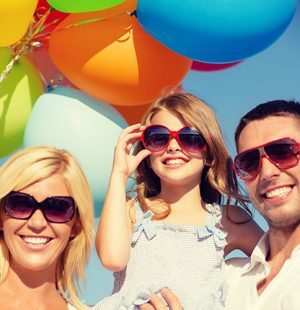 First, that a product is very popular and secondly that real-world consumers are happy. This bench from Weider got its first ten positive reviews in a period of just 14 days, the second ten reviews in 12 more days, and the third set of ten reviews in just 7 more days. This is a versatile, yet cheap home gym that is durable, lightweight, folds down fairly compactly and can be easily stored away in a closet. The ability to add adjustable resistance to your workout makes this a very attractive choice. Stuffoholics believes this workout gym will accommodate even the most demanding exercise routines without breaking the bank. This is easily our Top Pick. This workout gym has a welded tubular steel frame. The incline of the nicely padded bench is easily adjustable with a single lock pin. It has padded brackets and handles in just the right places. The four resistance bands are built into the underside of the bench, so they are always where you need them, but invisibly stowed away when you don’t. Weider says this machine is capable of properly supporting users up to 250 pounds. 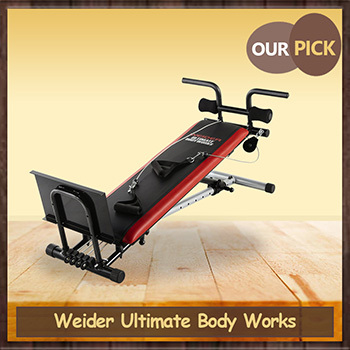 The Weider Ultimate Body Works bench slides up and down on the frame as you conduct your workout, using your own body weight as the primary resistance. But have no fear, because even when you lose weight, you can increase the intensity of your workout with the four resistance bands built into the system. This is a single bench with a deceptively simple design. There is virtually no end to the variety of exercises and body parts you can work with this machine. At the top of the inclined bench, there is a steel cable and pulley system on each side. Each cable has a detachable padded handle, so you could, for example, replace the pair of handles with a single bar for even greater variety in your workouts. You can also use just one cable at a time. The assembled dimensions of this bench are 71 inches long and 25 inches wide at the ends of the leg bases. It can be adjusted to a maximum height of 49.5 inches. The higher you adjust the incline, the more intense the workout will be, because you are basically lifting your own weight. The entire bench system itself weighs 70 pounds. There are four resistance bands built into the underside of the bench. They can be quickly and easily connected to the crossbar at the bottom of the bench to add resistance to your workout. You can use any combination of bands from none all the way up to all 4. In total, they add up to 50 pounds of extra resistance. The main concentration of this home gym is core strengthening, but don’t think that it is limited to just that. There are a wide variety of exercises that can be accomplished that will help strengthen legs, chest, back, and arms. The biggest drawback is that there is really no way to accomplish an aerobic workout with this machine. But overall body shaping and muscle toning are easily targeted with this home gym. This is a simple bench that is easy to assemble and very easy to use. Adjusting the incline of the bench is a simple one-lever task. Attaching the resistance bands is as simple as it gets. The entire hone gym can be collapsed and stowed away in a closet but be mindful of the fact that it does weigh 70 pounds because of the sturdy steel design. If you have a permanent place to set it up, you might want to consider that. This home gym includes an exercise chart you can mount on the wall. It also comes with a workout guide that includes more than 100 exercise variations to help you maximize the workout you can achieve with this bench. The handles on the cables are attached with standard carabiners, so you can replace them with other styles of handles or bars, if desired. Aside from that, there are no other attachment points for other accessories. But, truth be told, you aren’t going to need them. This gym is more than able to accommodate any full-body toning workout. Padded handles, a very cushy padding on the bench, and super-smooth action of the sliding bench make this machine as comfortable as can be. When you want to begin your workout, you will probably have to shoo your sleeping cat off the bench. One concern we have is that while taller reviewers report no dissatisfaction, some of smaller stature report having difficulties using this machine. If you are 5’2” or less, look carefully at whether this machine will fulfill your needs. This home gym comes with a 90-day parts and labor warranty. Your wallet is not going to have to do any heavy lifting to buy this home gym. For less than $200, you’ll be exercising your way to a toned body. 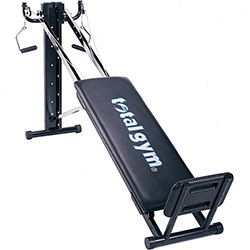 This is actually one of the lowest cost machines among our Top Ten best home gym reviews. The name Weider has been synonymous with well-toned bodies for many years. Joe Weider was the founder of Muscle & Fitness magazine and personal trainer for Arnold Schwarzenegger. With credentials like that, you know the Weider name is only going on the best home gym ideas on the market. This bench certainly qualifies. Why is this product our Runner Up Pick? Need exercise equipment that can work all of your body parts? The Body Champ weightlifting bench is your perfect choice. For its low cost, you already get Olympic-level build and quality. This is one of the best all-around Olympic weight lifting benches for home use on the market in the under $200 price range. It has an adjustable back rest, an adjustable leg developer with dual leg rests for a wide range of leg exercises, and some nifty accessories like a preacher curl arm pad and curl bar, and an ab crunch handle. In all, this machine checks the box for 28 of the positive features we looked at on home gym sets. That’s the same number of great features as our Top Pick. Online reviewers generally had high praise for this bench, although not as much as our Top Pick. In our ratings survey, it took 27 days to collect ten positive ratings, 20 days for the second ten, and 19 more days for the third ten. Total reviews are also only about one-sixth of our Top Pick, meaning a lot more consumers decided to go with the top pick instead of this one. Perhaps one reason for this is that this product is only the bench. You also have to buy a rack of weight plates and a barbell to complete the set. The main elements of the frame for this Olympic-style bench are made of 2.5-inch square steel tubing. While smaller parts like the base plates that rest on the flooring, for example, are welded in place, the main pieces of the frame are bolted together. This means it can be broken down for moving or shipping, but there is a small sacrifice in overall strength and capacity of the system because these joints are not welded. For a single weight bench, this machine offers great flexibility. Many Olympic sets offer little more than a bench for use with a barbell and perhaps some leg extensions and curls. This machine also adds the armrest and an ingenious folding bar for preacher curls. There is also an ab crunch handle so you can tone your midsection without using an ab machine separately. Fully assembled, this bench takes up a lot of space in one of your rooms and does not break down for storage. Dimensions are 76 inches long, 56 inches wide, and the overall height is 55 inches. The bench weighs 78.5 pounds. Resistance for this machine is provided by standard weight plates and a barbell – none of which is included with the bench. The free weights you choose are a separate purchase, so factor that added cost into your equation. The maximum free weight capacity of this bench is 275 pounds, which will be fine for most of us, but not sufficient for athletes interested in powerlifting to achieve maximum muscle building. A bench like this is primarily designed for building muscle, although the versatility of the Body Champ means it does a lot more. Core strengthening, multiple leg exercises, chest, arms, and back are all areas you can use this bench to focus on. Paired with a good set of free weights, this bench provides many high-quality options for full body weight lifting sessions. There is no aerobic option designed into this bench. Owners of the Body Champ bench report that it took them about 2 hours to assemble it. It is not easy to move around, so build it in the room you intend to use it in. It does not come with an exercise guide. But Olympic benches are a standard platform for many weight-lifting routines and you will have no trouble finding videos online and workout books for purchase that will guide you through a wide range of workout plans for a bench like this. With the addition of the preacher curl stand built into this machine, there are literally hundreds of exercises you can do. You will have to add your own free weights since this product is the bench only. The bench is designed for 7 or 8-foot barbells. An adapter for the leg curl stand allows you to use either standard or Olympic plates. 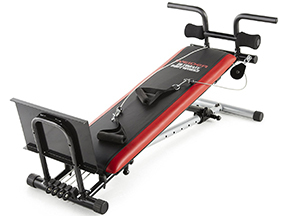 An ab crunch handle is an included accessory with the bench. The bench is not heavily padded; however, the high-density foam padding is sufficient for the task. The grips on the preacher curl bar are only lightly padded – but you will want to wear your workout gloves anyway. The padding on the leg rollers is not overwhelming but should be fine for most users. The rollers are adjustable, but only in your choice of two available spots. Users outside the average range of height, either taller or shorter, may not be able to find a comfortable position. The bench is capable of being set in a couple of declined positions to accommodate lower chest lifts. However, the seat portion of the rest does not decline, potentially putting the user in a bit of an awkward position for doing declined lifts. Another thing to be mindful of is the width of the barbell brackets. They are 38.5 inches apart from center to center. Some users report that this is right about where they would like to be gripping the bar, forcing them to take a narrower-than-desired grip for power lifting. There is a limited one-year warranty and 90 days on parts. High-end Olympic benches can be very expensive. But this unit is aimed at a more realistic marketplace that just wants to get a good workout at home. The bench will set you back about $200 but remember that you also have to buy the free weights. If you are looking for a starter-grade Olympic weightlifting bench that offers a wide range of versatility in exercising different body parts, this is the bench for you. It’s not going to take you to world-class bodybuilder status, but it will get you off the couch and feeling and looking better in no time. With a pull-up station, push-up station, and vertical knee raises station, this is an extremely effective yet affordable home gym. It’s designed to strengthen your core but is great as a total body workout. The simplicity of a power tower means this product has one of the lowest price points in our survey. But don’t mistake simple for ineffective. The workout you can achieve on a system like this is quite amazing. 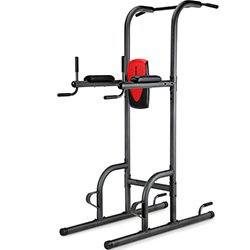 This particular power tower entry from Weider actually has a lot of positive features like a pull-up station, a push-up station, and a vertical knee raises station, meaning you can actually accomplish a good portion of your daily workout on this one piece of equipment. Power towers are, of course, designed primarily as core strengthening stations, but this one offers a lot more. This is a high-quality frame build from round tubular steel. It is bolted together at frame intersections, so it can be broken down for shipping or moving. It has a maximum weight capacity of 300 pounds, which means that if you tip the scales at 200 or so, you are already two-thirds of the way to capacity. Stuffoholics would like to see a bit more weight capacity built into this system. Some towers give you little more option than just a pull-up bar and vertical knee raises. This unit also has several different hand grips in placements that allow you to accomplish a more complete workout on a single apparatus. The base of the unit is 57 x 41 inches and stands 84 inches tall. It weighs 93 pounds. Resistance on a power tower comes primarily from the action of lifting your own body through a variety of exercises. Towers primarily focus on core strengthening and shaping. They are an excellent choice for this kind of workout. 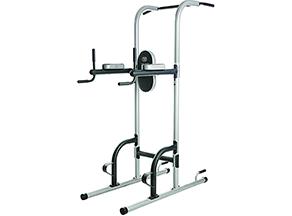 The bonus with this Weider tower is the addition of extra handles that provide many more options. There are plenty of arm building exercises built into this design. A tower is very simple to use. There are no moving parts, except your own body. Assembly of this unit is easy and straightforward. Vertical knee raises can be done in a straight vertical fashion, or you can add a twist to target your entire core. These moves tend to be of particular interest to women who want to focus on body shaping. 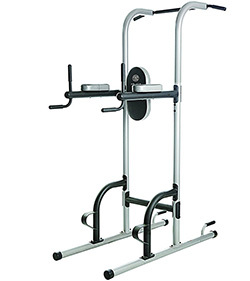 There are also pushup and pullup handles built into this tower, so you can add numerous arm and back workouts. There are no options for adding accessories to this tower. However, if you need more weight than your own body provides, it is possible to add ankle or belt weights, and even attaching weight plates to your lower body. Those are all items that are separate purchases, and not included with the basic tower. Each of the four pairs of handgrips is covered with a molded rubber grip. 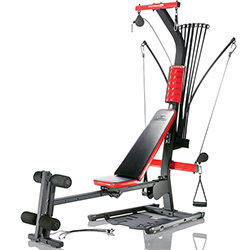 There are nice forearm pads for the vertical knee raise position, along with a cushy backrest in the bright red color that Weider has chosen to identify its products. The tower comes with a 90-day parts and labor warranty. A power tower is really a bargain piece of equipment that should be in every home gym designed for total body workouts. This one normally sells for a very low price around $150, making it truly a great Budget Pick. You get a lot of bang for your buck with power towers. It’s a simple apparatus with great payback for core strengthening and shaping. Then add on the arm and back exercises built into this system, and you have a great device. If you are building a multi-station gym in your basement or garage, this is one piece you certainly need. If it’s an intense full-body workout that you want to achieve at home, then the Bowflex Blaze Home Gym can do the trick. It has everything from a squat station to chest and push up stations. Now you don’t have to leave home to workout. This is one of the most advanced home gyms on the market today. It may well have been our Top Pick except that cost is also a factor we considered. This unit sells for about 4 times the price of our Top Pick. Still, for those who take a home-based workout seriously, this is a highly competent machine. It’s easy to achieve a full-body workout that attacks every muscle group with this Bowflex. From the squat station that helps build glutes, hamstrings and quads, to the chest and pushup stations and flat tower with an angled bar for arm and back exercises, and even aerobic rowing, you can do it all. The multiple cable and pulleys designed into the Power Rod® resistance system give you virtually endless options. This is a complex machine, so it is going to take some time to assemble it, but the payoff is fantastic. There is also definitely a cost factor to consider, but this unit has features that the other products we examined just can’t offer. So, for that reason, we have designated the Bowlex Blaze Home Gym as our Advanced Pick. This is an all-steel frame design that actually folds up and has wheels that facilitate stowing it away in a (large) closet. But the unit weighs 195 pounds, so we don’t really think you are going to want to wheel it around very much. 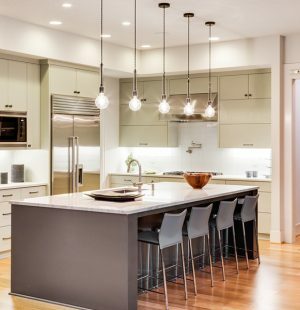 One interesting thing users have reported is that the resistance generated by the Power Rods actually changes with the ambient temperature of the room. The resistance they create seems to soften up at higher temperatures. The Blaze is loaded with so many features that we simply don’t have the space to discuss them all here. It is truly capable of providing a great resistance workout for every muscle group in your body. It has a variety of cable and pulley systems that allow you to “feel the burn” from every angle. One thing we really like is the sliding seat, which even gives you the option of using this like a rowing machine to get a great aerobic workout. The unit is 59 inches long and 23 inches wide. But when the rods are being flexed, they add a good bit to the width of the machine. The bench weighs 195 pounds and has a maximum user weight capacity of 300 pounds. The workout comes from Bowflex’s unique Power Rods. They provide resistance without the joint-pounding effects of traditional weights. If you are looking for a one-piece home gym, this is it. 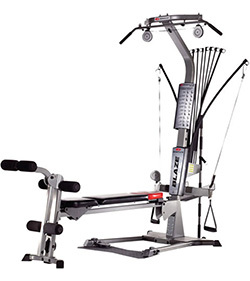 There is quite literally no muscle group or type of exercise that the Bowflex Blaze can’t reach. If weight loss, muscle building, body sculpting, aerobic rowing, or even “just getting in shape” are part of your goals, you can find a way to make it happen. The Bowflex Blaze stumbles a bit here. For one thing, the assembly isn’t complicated, but it is going to take some time. There are a lot of parts to this machine. Switching from one exercise to another can also be a bit time consuming, simply because there are so many options. You will find yourself constantly moving cables, handles, and resistance bar connections between exercises. But as you become more familiar with the routine, the time to make these changes will decrease, so be a little patient at first. There are over 60 exercises that can be done on this machine, and each on of those can be attacked from a variety of angles, giving you almost limitless options. Bowflex provides 7 workout regimens that were designed by professional trainers. There is also a placard built right onto the upright post of the machine that provides an instant look at the routine of your choice. The Blaze comes standard with Power Rod® resistance that goes up to a maximum of 210 pounds. When you find yourself maxing that out (Congratulations!) Bowflex does offer two available upgrades to 310 and even 410 pounds. Since all handles and bars use standard attachment styles, you can always add your own handles and cuffs. The grips and leg pads are all nicely cushioned, as is the seat and bench. The hand grips also function as ankle cuffs. Bowflex really stands behind this machine with a five-year limited warranty and a lifetime warranty on the resistance rods. There are a lot of machines here, so you would expect to pay a significant price for it, and you will. Our research shows that this system usually sells for over $700. But considering the wide range of exercise routines available with this system, it easily replaces the entire gym in one machine. This is a serious full-body workout system built into a singular design. Although it’s not perfect, the Bowflex Blaze comes very close to capturing the benefits of an entire gym, and it does it in a piece of equipment that has become a popular part of modern décor for the homes and apartments of many young professionals. This low-impact exercise machine was made to last because the manufacturers knew you’d be using this nonstop! Super effective, versatile and easy to use, this is one piece of equipment you need in your home gym. 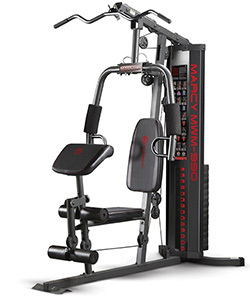 Marcy has been producing high-quality gym machines for more than half a century. Like Weider, if the Marcy name is on a piece of equipment, you already know it’s a high-quality choice. This is a full function station not unlike machines you will see in a professional gym. Get ready for a real workout! This gym set has a frame built of heavy-duty square steel tubing. It has to be solidly constructed because it carries its own weight stack, so it is subjected to strong forces with every rep. The system is black with a splash of red color here and there to wake you up in the morning. There are guard rods that hold the weight plates in place on the stack as you work out. One caution; as with any machine that uses a weight stack be careful if you have little kids in the house. Pinching a finger in a weight stack is not pleasant. The weight stack on this machine holds 150 pounds of plates, which is more than enough for nearly any workout. The arm press and leg press systems sport a dual-action design so you can do presses and butterfly’s all on this one machine. It has an extensive cable system that allows you to accomplish a wide range of exercises in high and low pulley positions. This machine is not a lightweight, and you will not want to move it once you have it in place. The overall machine footprint is 62 x 43 inches, and it stands 78 inches tall. Because it supports its own weight stack, the total weight of this machine is 268 pounds. Setting it up on concrete flooring is the wisest choice. Resistance is provided through the professional-grade system of pulleys and cables by that 150-pound stack of weights that can be customized to your desires. The stack can also be safely locked down to prevent unauthorized use of the machine. I was a gym rat before I decided to get my own home gym set, and I can tell you that the machines designed like this one are always the most popular machines on the floor. It can be utilized to work virtually every muscle in your body. No other machine will give you a more comprehensive workout. This gym set is very easy to use. Handles are easily switched from one cable set to another and switching the arms from a chest press to a butterfly machine is done by simply pulling two pins. The preacher curl pad is adjustable and removable. One gripe we have is that the preacher curl pad seems a bit wobbly. It will hold up just fine, but we don’t like it wiggling around while we’re using it. This system is a bear to set up. No kidding. Figure on having a good half-a-day experience as you assemble the frame, string all of the cables and construct the weight stack. Also, those cables and pulleys require regular maintenance to stay in top shape. If you find a particular exercise you want to do, there is probably a way to do it with this machine. One nice feature is the chart that Marcy includes right on the upright post of the unit. It shows you the exact muscle group you want to focus on, and which exercises to do for it. If you can think of it, you can add it to this system. The thing is, you probably don’t need to. It comes with all of the handles, cuffs, and weights you’re going to need. The leg rollers and forearm positions on the butterfly arms are padded. The handles have rubber grips. The seat, back, and preacher curl are upholstered with high-density foam. There is no adjustability to the seat, so taller and shorter than average users may struggle to get comfortable. There is a two-year warranty on the frame. This system will set you back about $500. Machines like this have been a staple on gym floors for many years, and for good reason. They work. It’s an ole’ school design but weight stack machines like this are really the first “low-impact” style of exercise machine developed. If you don’t mind a little bit of maintenance time to keep all of those cables and pulleys happy, go for it! Made with flexible rods, this home gym system gives you a customizable full-body workout. With this, expect to tone, shape, and build muscle as you use this intense calorie-burning machine. Another hi-tech entry from Bowflex that uses flexible rods to create resistance training without the body-jolting effects of actual weights. The frame is composed primarily of rectangular steel tubing. All of the other parts are of equally high quality, as you would expect from an innovative brand like Bowflex. One of the things Stuffoholics really likes is that this system includes rowing machine functionality, to give you a cardio exercise option that most other home gyms don’t. You can expect to achieve an excellent full-body workout with this machine. There are multiple pulley and cable systems that allow you to customize standard exercises for high and low angle reps. This machine requires a minimum workout space of 100 x 78 inches. It stands 82 inches high and weighs about 131 pounds. The maximum user weight is 300 pounds. Resistance is provided by Bowflex Power Rods®, a unique concept that generates a strong workout without using traditional weights. One drawback to this particular unit is that the power rods have a maximum resistance equivalent of 210 pounds. 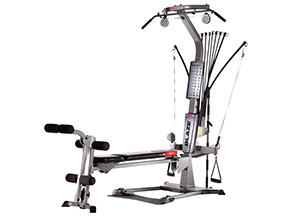 Our Advanced Pick, The Bowflex Blaze, is designed to be upgradable with optional Power Rods to a 410-pound maximum. That’s an option that is not available with this machine. This is a highly versatile machine capable of delivering full-body toning, shaping and muscle building. Plus, the rowing exercises that you can accomplish with this machine also make it a great calorie-burning and aerobic workout system. This gym set is very easy to use. Simply moving the handles to the desired cables and hooking the preferred resistance rods to the other end allows you to change exercises in seconds. The unit does require assembly, and you should expect to spend a couple of hours doing it. But the packaging and directions are well designed. Bowflex has designed more than 30 specific exercises for this machine, and you can devise many different angles and options for each. There is a placard outlining the primary moves mounted right to the frame for quick reference while you work out. We do want to point out that the number of exercises available with this machine is quite a bit less than the Bowflex Blaze. Yes, you can add your own bars and handles to this system, but you won’t really need to. The accessories that come with the machine should suffice for most users. 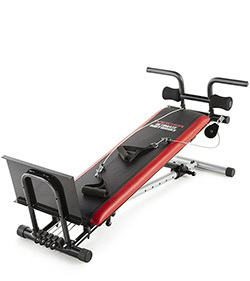 High-quality padding, grips, and leg rollers make this a very comfortable machine to use. There is a one-year warranty on the frame and a 60-day warranty on parts. The Power Rods have a 5-year warranty. Research by the Stuffoholics team shows this machine sells for around $750. This is a very capable home gym set built at a very high quality. But here’s the thing; This machine does not deliver the variety of exercises and Power Rod upgrades that our Advanced Pick, the Bowflex Blaze, does. On top of that, it actually costs a few bucks more. If you decide that the Bowflex concept is for you, we recommend you pick the Blaze over the PR1000. The power cage adds safety to your heavy weight-lifting sessions. Durable & of high quality, this 800-pound capacity cage is a solid addition to your workout station. This is a cage designed to enhance the safety and experience of working with free weight barbells. It can be used with the included bench, or in a standing position for leg squats and other lower body lifting moves. This cage is made of 2 x 2-inch square steel framing. The uprights bolt to the floor stands at the bottom and are bolted together at the top by a cage that doubles as a pull-up bar. A power cage serves two main purposes. First, it provides a safety peg on each side to firmly hold your weight bar at the correct height between reps. Secondly, it enhances the safety of using free weight bars by providing a lower safety bar on each side, to catch a fully-loaded barbell that slips out of control before it hits the floor (and possibly your legs or feet). This power cage also includes a very useful multi-position bench for increased workout options. The cage stands 50.5 inches long, 46.5 inches wide, and 83.5 inches tall. It weighs 133.5 pounds. Resistance is provided by a barbell and weight plate set that will be a separate purchase. This cage can support up to 800 pounds! Normally, a cage is only helpful for powerlifters to build leg and arm strength. This one adds a bench and a pull-up bar to boost its range. Assembly is fairly simple. Adjusting the safety bars during use is also a quick process. The safety bars have an added lock for security. Because this cage comes with an adjustable bench, the range of exercise options is greatly extended. There are more than a dozen types of exercise you can do with this combo set. You have to. The barbell and weights are a separate purchase. The bench has six adjustment levels, and the front foot peg has two levels of adjustment. The bar and safety bars for the cage have up to 19 different positions to accommodate weightlifters of any stature. The cage has a one-year limited warranty. The cage and bench sell together for about $330 but remember that this doesn’t include any weights. A power cage is a limited-use design made for increasing the safety of working with heavy barbell workouts. This cage is as good as any for that use, but it will not fulfill the desires for a multi-purpose home gym by itself. The cage is a great addition to a multi-station home gym. Just have a few pounds to shed, or some lovehandles you want to get rid of? The Golds Gym exercise equipment works on your core while shaping the rest of the body. It’s also easy to use and affordable. 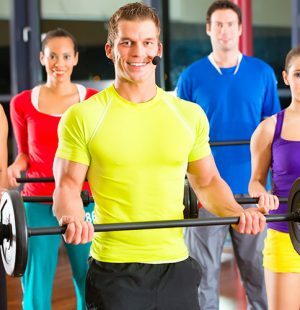 Gold’s is another famous name in the world of fitness gyms and equipment. This is their interpretation of the venerable power tower. Round tubular steel creates the entire framework for this stand. It is not the heaviest build, and if your body mass is in the 200+ range, you may find this tower a bit wobbly when adding a twist to vertical knee raises. This is a simple tower design, so the primary focus is on doing vertical knee raises to increase core strength. It is 41 inches wide, 57 inches long and stands 84 inches tall. The unit weighs 88 pounds. Resistance is created by lifting your own weight. The primary focus of a tower like this is core strengthening and shaping. However, this tower includes some additional grips for pull-ups, push-ups, and dips. Fairly simple to assemble and very easy to use. Vertical knee lifts top the chart, of course. But you can generate upper body workouts that involve half a dozen other moves as well. There isn’t much to add to a tower, except the weight of your own body. You can attach supplemental weights to your ankles or weight belt, if desired. Some users complain that the arm pads are not sufficient when doing vertical knee lifts. Gold’s does not publish the warranty details. This product goes toe to toe with the Weider Power Tower, which is our Budget Pick. This one actually comes in at a slightly lower price, but a noticeably lower build quality and fewer exercise options. We recommend spending a couple of extra bucks on the Weider version. You won’t be sorry. All exercises can be accomplished with this machine. It’s a very durable machine that lets you perform full-body workouts, targeting areas such as your arms, legs and core. A dependable choice. Another very capable entry from Marcy. This is a traditional weight-stack style machine that provides powerful full-body workout options. The square tubular frame is made of 14-guage steel. It is a very durable design because the weight stack is built right into the machine, and the frame has to be able to support that. It does so, very well. Except for aerobic activities, there is virtually no exercise you can’t accomplish with this machine. The arm press serves as a butterfly and a chest press. The Preacher curl pad is a tremendous asset. The extensive system of cables and pulleys allow you to develop high and low angled moves for almost every exercise. This is a big, heavy machine that you aren’t going to move around once you have it set up. It requires very stable flooring beneath and a large footprint. It measures 68 x 36 inches at the base and stands 79 inches high. With the 150-pound weight stack installed, this machine weighs a total of 280 pounds. 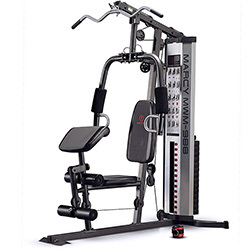 This machine will help you in any aspect of weight-lifting that interests you. Core, back, arms, and legs are all well-served. It is no small task to assemble this machine. Expect more than a few hours and asking a friend for some extra help. Because of the intricate cable and pulley systems, it also needs a little routine maintenance to keep it all running smoothly. As far as working out with the machine, once you get the hang of your routine on it, switching from one cable system to another between sets is no big deal. Because of the wide range of cable connections, the exercises you can create on this machine are virtually limitless. Marcy even includes a colorful placard mounted right on the frame to help you track your progress through a workout. The cable connections are all a standard design, so you can add any bars, cuffs or handles that you may wish to. However, the system comes with a great accessory pack that means you probably won’t need to buy anything else. The biggest drawback of this system is that the bench is not adjustable to accommodate users of different stature. Very tall and very short consumers may find the one-size-fits-all bench positioning doesn’t work for them. The padding on the bench, leg and arm rollers is all high-quality material that will last a very long time. 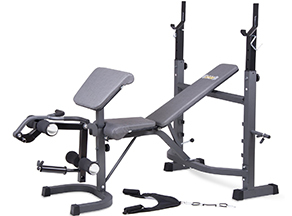 You will spend close to $900 for this gym set. But it is a full-service gym in a single unit. This gym set is virtually identical with our Number 5 pick from Marcy. We like that one a lot – so we like this one too. Frankly, whichever one is offering a better sale price is the one to buy. Some machines require a lot of space before you can start using them, but the Total Gym 1600 lets you do full workouts in this single station, without having to worry about where to place it. Best for basic workouts. This is just an inclined bench, but don’t let the deceptively simple design fool you. There’s a real workout in here. This is a tubular steel frame design with a bench the moves up and down on the central rails. The best thing about the Total Gym 1600 is that you can achieve a great workout without the need for a lot of added weights or room space. More than just a bench, it has a basic cable system and a sliding bench that allows you to do a wide range of movements. The machine is 92.5 inches long and 16 inches wide. It tops out at 43 inches and weighs 75 pounds. Resistance is provided by your own body weight, which is adjustable by raising and lowering the bench angle. There are 8 bench angle settings. Beyond that, there is no option for adding extra resistance bands or weights. It is possible to target virtually every muscle group in the body with this machine. This is a very simple machine to assemble and also easy to use. You might think that a bench like this can’t accommodate many exercise options. You would be wrong. You can do military presses and a variety of arm and leg movements, too, thanks to the accessories like a dip bar, press bar, and a leg pulley and cuff for lower body workouts. In all, Total Gym has developed more than 60 exercises for this machine. They even include a nifty flip chart of exercises to help you track your workout. You could add your own handles, bars, and cuffs if you wanted to, but the gym comes with everything you really need. The bench is nicely padded and accommodates users of most stature. There is a one-year warranty. The Total Gym 1600 will pull about $250 out of your wallet. This gym set has a lot of very happy users. It’s not a very complicated machine, which appeals to many. And if a machine appeals to you, it’s going to get used. You can get a good basic workout, but don’t expect to become a body-building champion. Aerobic: An exercise that significantly increases heart rate and breathing. 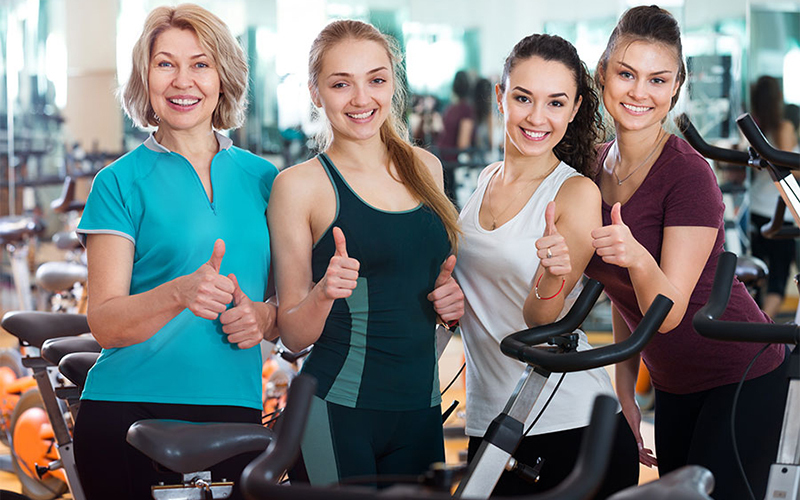 Before undertaking any new program of aerobic workout (also referred to as “Cardio”) be sure to talk it over with your doctor, especially if you have any potential for heart conditions. Barbell: A long steel bar designed to have weight plates mounted on each end to provide a balanced resistance device suitable for use with two hands. Core: The central section of your body involving the abdominal and lower back muscles. If you want to get rid of that tummy, it means you want to focus on the core exercises. Dumbbell: A small handle with various sized weights attached or molded to each end to provide a balanced device suitable for one-handed use. Free Weight: A weight whose movement is not strictly controlled by a machine. For example, use of a barbell or dumbbell for bicep curls. Reps: A shortened version of the word repetitions. It’s used to count how many times you do a specific exercise in a row without stopping. Resistance Rod: A long rod made of various materials designed to increase the resistance a user feels as the rod is bent by way of a cable and pulley system. This is a low-impact option for lifting free or stack weights. Sets: Each group of Reps is considered a set. For example, if you do 5 sit-ups and then take a break and do 5 more, you have just done two sets of five reps.
Stack: A collection of weights that are set atop each other to create a vertical collection of plates that are attached to a cable. But putting a pin in the plate designated for a desired amount of weight, that amount of resistance is made available at the other end of the cable. Vertical Knee Raise: An exercise where you hand in the air by resting your forearms on a pad. Lifting and twisting your lower body creates a core workout that is second to none. It’s really a vertical form of sit-ups. Weight Plate: a platter-shaped steel or cast-iron disc with a hole in the middle designed to be slid onto the ends of a barbell or dumbbell to increase the resistance of the device during exercises. Stuffoholics has outlined an extremely wide range of machines and styles in our Top 10 Best Home Gym list. Maintenance of these machines is as varied as the machines themselves. Our primary suggestion is to consult the owner’s manual for specifics. However, there are some general recommendations we can make. Any machine with cables and pulleys is going to require periodic attention. Make sure all pulleys are properly lubricated and that cables aren’t showing any wear and tear. Over time, a cable can wear out and need to be replaced. You can reduce this need by taking care of them on a regular basis. Be sure to wipe the sweat off any padding or upholstery. This residue can cause the upholstery to dry out, crack, and eventually split open. You don’t want to be the person with duct tape all over the padding. Weight stacks, free weights, and other unfinished metal surfaces should also be wiped clean and dry to avoid rust build-up. Congratulations on deciding to invest in your own home gym set. This is the first step to creating a new, healthier, better-looking you! The next step is in deciding which home gym is best for you. By exploring our top 10 you have already begun to accomplish this goal as well. Now, look over our Top 10 Best Home Gym List carefully at Stuffoholics. But before you decide, be sure to look at the entire research document we are providing to see the raw data for yourself. Although we have identified our favorite machines, there are others on the market that might fit your exact needs a little better. They are all included in our attached research document. So, take a few minutes to exercises your brain researching the options, and then get your body in motion. It’s time to feel good about yourself!